Since launching in 1997, Unibet has gone on to become one of Europe’s biggest online gaming providers, serving in excess of 10 million customers worldwide. It offers poker, table games and sports betting markets and of course a wide choice of online slots. 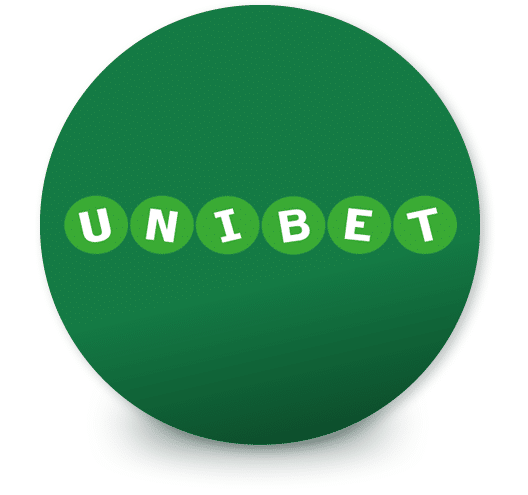 Fully licensed in the UK, Unibet has placed a much bigger emphasis on the UK market in recent years, as witnessed by a specific UK facing website and extensive TV advertising campaigns. The casino offers a range of over 400 slots, including progressive jackpot titles, from many of the industry’s best known developers including NetEnt, WMS, IGT and Microgaming. It also provides a series of exclusive offerings from Play ‘N Go that can only be found at Unibet and sister site Maria Casino. Unibet Casino is instant play so there are no worries about downloads. Players on the move can play over 160 games via a specially designed mobile and tablet app. New visitors to Unibet Casino can get playing with 10 no deposit free spins, a 200% first deposit bonus worth up to £200 as well as up to 1900 free spins on a selection of Net Entertainment games. As you’d expect from one of the biggest players in the European online casino market, there is no shortage of customer support options at Unibet Casino including phone, email and live chat. You can contact them 24/7, 365 days of the year. Phone lines are manned from 7am until 1am on weekdays and from 7am until 11pm at weekends. Calls are made to an 0808 number so will be free for most UK users. If you need to contact Unibet outside those hours, then Live Chat is your best bet. In fact, live chat should probably be your first port of call at all times. It is available 24 hours a day and the waiting time is usually just a couple of minutes. On the rare occasions they haven’t been able to find an answer to a query instantaneously, it hasn’t taken them long to sort it out. Expect quick, polite and efficient service here. There is also an email option, where you can expect to receive a response within around 3 hours. You can access all of these options via the Contact Us tab which is at the bottom right of the home page, in the About Unibet section. The Unibet Casino website also has an extensive help section which deals with many of the most common queries. You can find it by clicking on the Help tab above the login boxes. When it comes to making deposits and withdrawals, Unibet Casino has most of the bases covered. You can add credit to your account via bank transfer, credit or debit card or via prepaid cards such as Ukash and Paysafecard. Wallet services NETeller and Skrill (Moneybookers) are also available but be warned, you cannot use them to make your initial deposit. For that, you have to use the bank transfer, credit or debit card or a prepaid card. The minimum deposit for all methods is just £5. A 3% charge is levied for Ukash and Paysafecard deposits unfortunately. There are no withdrawal fees at Unibet, whatever method you use. The minimum withdrawal using NETeller and Skrill is £10 with payouts processed within 48 hours (and often sooner). If using a credit or debit card or withdrawing via a bank draft the minimum is £15. It can take 3-5 days for the money to hit your account using these methods. In some cases, you may be asked to provide further information and documents before the withdrawal can be completed. There are no cashouts processed at weekends so don’t expect to get your money immediately if you’ve had a stellar Saturday night. Unibet Casino is home to over 400 games. It offers table games such as roulette, blackjack and video poker as well of course as a bumper selection of slots. Whatever your taste in slots, you should find something to tickle your fancy whether it be old school fruitys such as Mega Joker, high octane space action like Starburst or graphically rich historical adventure as found in Gonzo’s Quest. All the main developers are present and correct including Microgaming, Play ‘N Go, IGT, WMS Gaming, Barcrest and ELK Studios. There’s also a complete suite of titles from Net Entertainment including the brilliant and volatile Dead or Alive, the lively Lucky Angler and the cult favourite Piggy Riches. 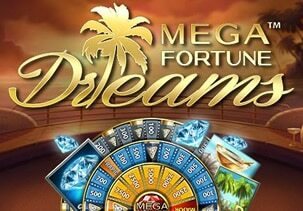 There’s plenty of branded content as well as a quality selection of jackpot slots including Mega Moolah, Mega Fortune Dreams, Arabian Nights, Major Millions which offer potentially life-changing sums of cash. Unibet Casino isn’t short of exclusive content either. Titles currently only available at Unibet and sister site Maria Casino include the Norse-themed Troll Hunters, classic fruit machine Super Flip and the monster classic Rage to Riches. The selection of content is constantly updated at Unibet. 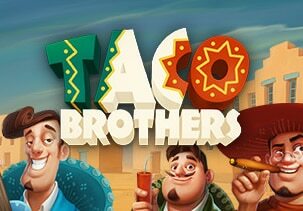 They have added plenty of slots to the virtual shelves including Taco Brothers, Wild North, Hook’s Heroes and Cash Stampede. 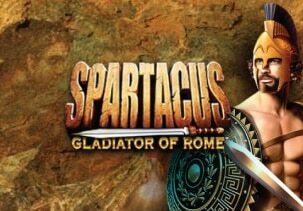 As for WMS, go to All Games, Slots and then Vegas Slots – here you will find land-based favourites including Raging Rhino, Spartacus Gladiator of Rome, Zeus III and Montezuma. You also have Cleopatra, Golden Goddess, Siberian Storm and Wolf Rising from IGT. There’s also a very handy search option which lets you type in the title of the slot you require rather than having to scroll through an enormous list of games. Whatever themes and genres you prefer, you’ll find something at Unibet Casino. New slots players at Unibet Casino can look forward to 10 no deposit free spins on a choice of 5 NetEnt slot games (Twin Spin, Mega Fortune Dreams, Jack and the Beanstalk, Motörhead and Gonzo’s Quest). Then there’s a 200% first deposit bonus worth up to £200. You can deposit from as little as £10 or go for the full £100 if you want to maximise the bonus. So for example, if you deposit £10, you’ll have £30 to play with. Deposit £100 and you’ll have £300. The bonus comes with a 35x wagering requirement so if you have received a £20 bonus you’ll have to have stake £700 to meet the conditions and withdraw your bonus winnings. You’ll have 30 days to complete the bonus requirements. There are plenty of regular bonus offers available for existing players too. 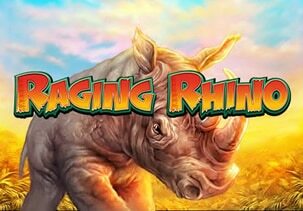 Look out for free spins on selected slots, random cash drops, special tournaments and exclusive mobile only giveaways. I would quite happily slot that Unibet Casino are one of the best casinos when it comes to ongoing promotions.